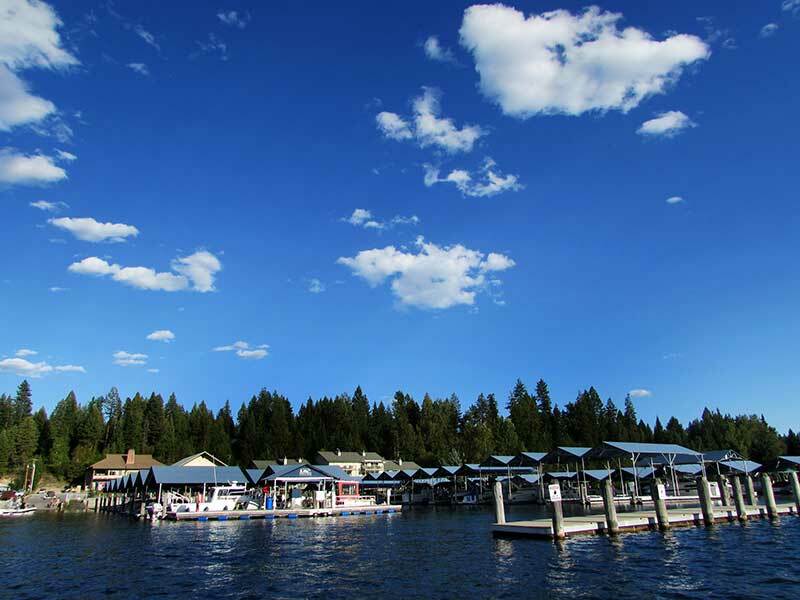 At Copper Bay we understand that your dock is more than just a safe place to moor your boat. It is an extension of your lake home and where you spend the best days of summer. We are constantly looking for ways to provide the best dock for your site. 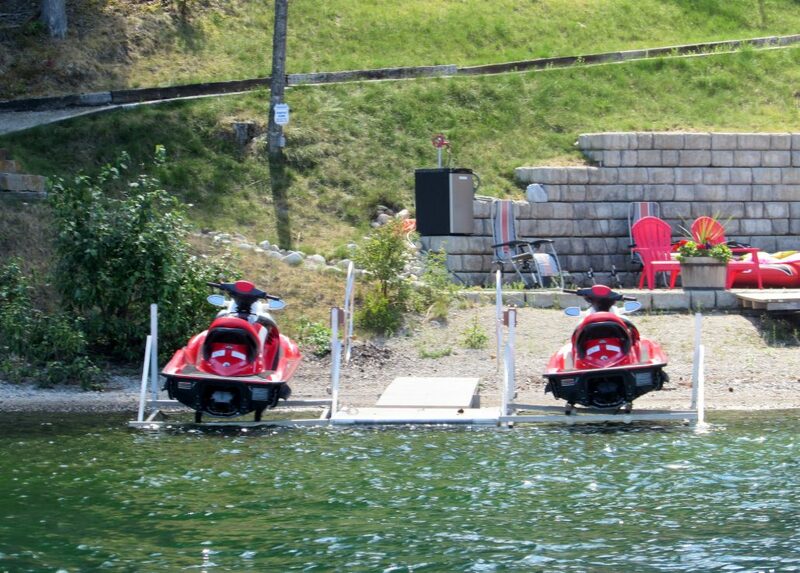 We evaluate your wish list and design a beautiful and functional dock system to maximize your enjoyment. 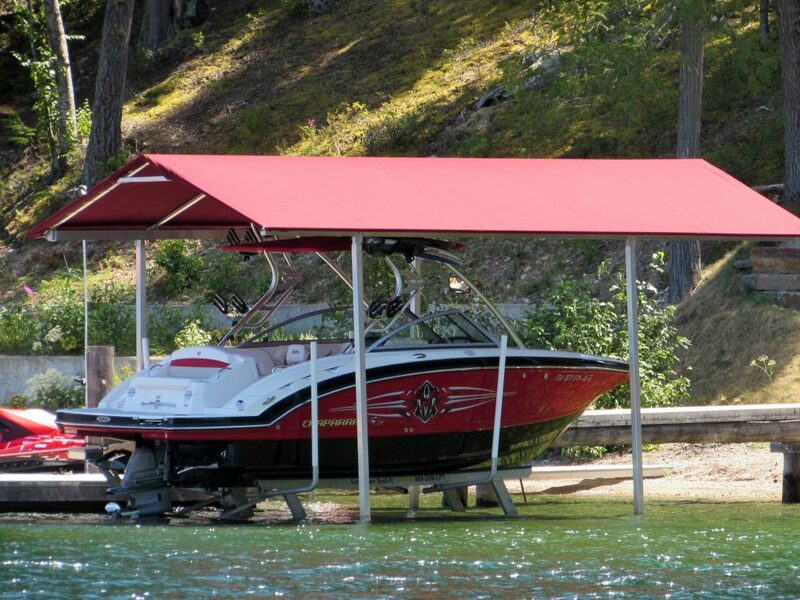 Copper Bay carries a full compliment of accessories for your dock system. Such as Swim Ladders, Bumpers, Tie Downs, Ramps and Boat and PWC lifts. Premium docks custom designed especially for your lake home. Built to withstand many years of harsh weather. Made with Premium quality redwood, cedar or composite decking, Environmentally appropriate solutions and Custom Aluminum/Steel Welding & Fabrication. 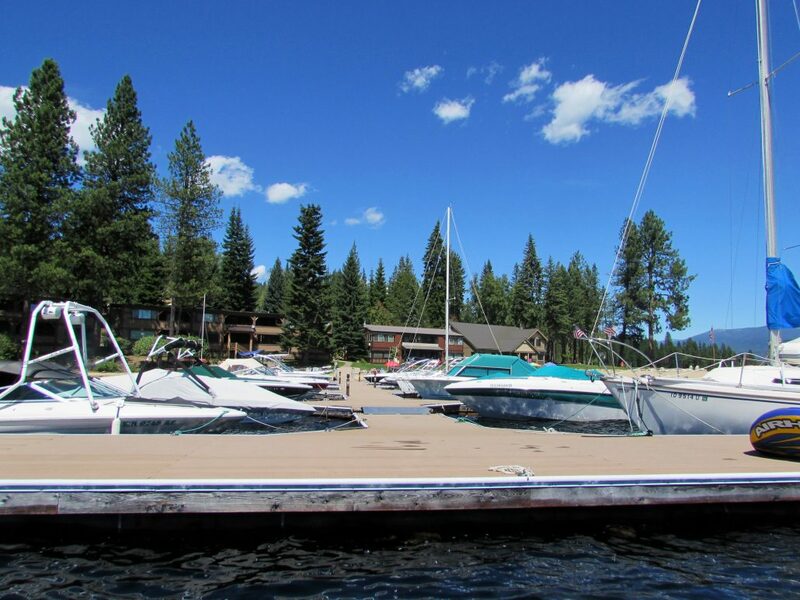 We provide Written Estimates, Permit Assistance, Dock Repairs and Warranty on our project. While not the most glamourous part of your dock system, piling and anchors provide the necessary protection for your investment. We offer steel pipe and wood piling as well as concrete anchors. The newest addition to our fleet is a portable, multi-use vessel with a hydraulic crane that can drive piling, set anchors, deliver and service boat lifts, and haul materials to difficult land access sites. 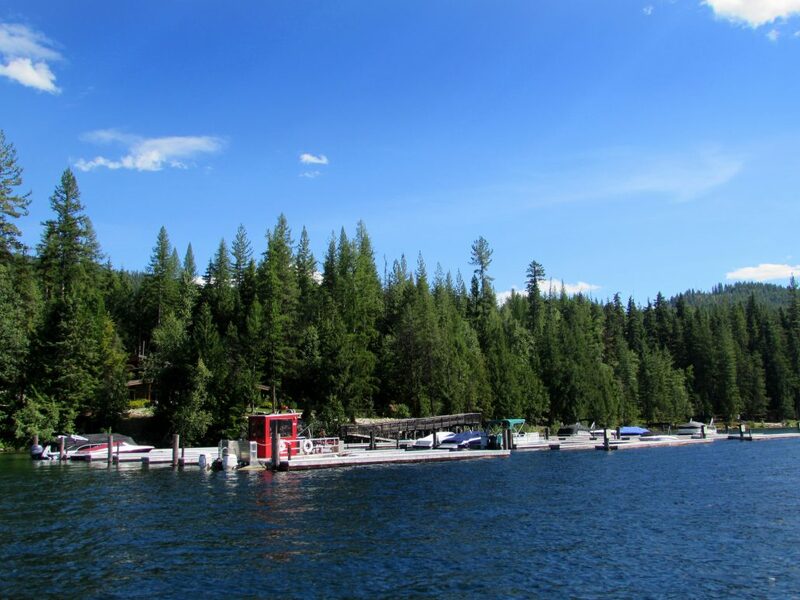 We are proud to offer some of the highest quality Sunstream boat lifts to our customers all around Priest Lake, lower Pend Oreille River and nearby small lakes such as Diamond, Sacheen, Loon, Deer, Waitts Lake, Spirit Lake and Twin Lakes. If you are not located in these areas, please contact us to see what your options are. Protect your investments! 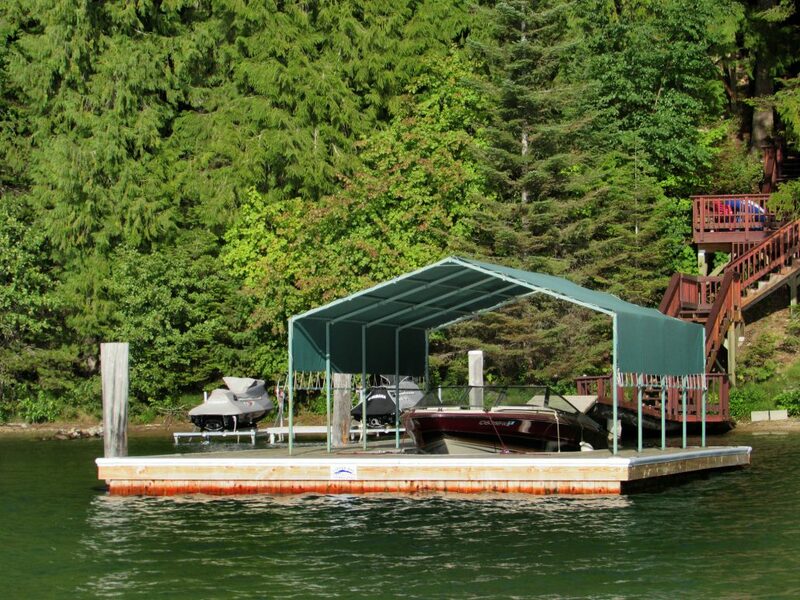 Copper Bay builds aluminum frame dock and boat lift canopies to suit your individual needs and aesthetics. We also offer high quality aluminum ramps and gangways… all things associated with your marine construction needs. Copper Bay can design and build beautiful sea walls, bulk heads and beach enhancements to provide a functional beach front you can be proud of. With our full fleet of tight quarter, high mobility equipment and expertise we can construct paths, piers, landings, seawalls and retaining walls on any site.